When you apply for college, there are many things you need to take into consideration. For instance, you need to spend considerable time choosing the right college for you and you also need to make sure you can afford the college you choose. Even so, there’s nothing more important than what you put on that college application. Admission reviewers are looking for certain things on your application and you can tailor yours to really stand out. Here are a few ways to make your college application stand out for all the right reasons. Never leave anything out on your applications. Even if you’re running behind for that dinner meeting with friends, make sure you answer every question completely and thoroughly. Getting your applications submitted on time is great, but not if they are inaccurate. Start filling them out far enough in advance so that you don’t miss anything and can spend the time you need on every question. Failing to do so is just a waste of your time, really. If you’re going to submit an application, why not try your hardest? Otherwise, what’s the point? If there is an essay required for your college application, then it will be by far the most important part of the application. Plan on spending a considerable amount of time on the essay portion of the application. Take time to plan out the essay in detail, gather sources and to come up with a thesis. Next, take time to draft the essay. 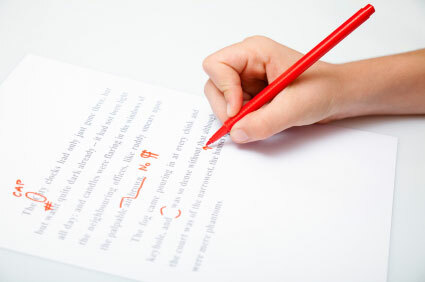 Give yourself enough time to edit and proofread the essay and to have someone else edit the essay as well. It really pays off to take your time and polish your essays. Doing so will increase your odds of being accepted by the college. You should always do your best to emphasize your good qualities. When you have a question that asks about your weakest quality, you should always try to spin the answer to make yourself look as good as possible. Now, this does not mean you should lie. Rather, it means that you should do your best to emphasize what is good about you and what is good even about your not-so fantastic qualities. It’s always great to talk about your improvement over time and your attempts to improve certain qualities. So long as you stay on the side of the truth, you should be fine. The point is, saying that you are lazy does not come across as well as saying that you have combated motivation issues. You get the picture. A good letter of recommendation can work wonders for your application. An admissions reviewer wants to see if what you say about yourself matches up to what others say about you. And a letter of recommendation is a good way to do that. If need be, make sure that you provide your letter writers with appropriate information about you, like a scholarship resume. That way, the information in the letter will be personal, accurate and truly play up your best qualities. But start early! It definitely does not make someone want to write you a glowing letter if you give them two days to write it! If you have taken part in extracurricular activities, clubs or activities outside of school, make sure you include them on the application. Admission reviewers want to see that you are well rounded and have many interests. However, they also want to see that you are committed to what you take on. So taking part in ten different activities while you’re in high school is great, but only sticking with each for two weeks is not all that impressive. Admission reviewers are looking for the best of the best. And with a bit of tweaking, your application will surely sparkle.